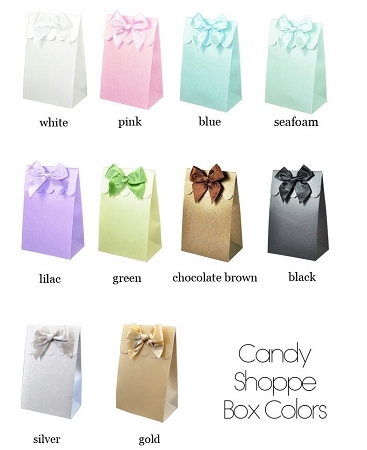 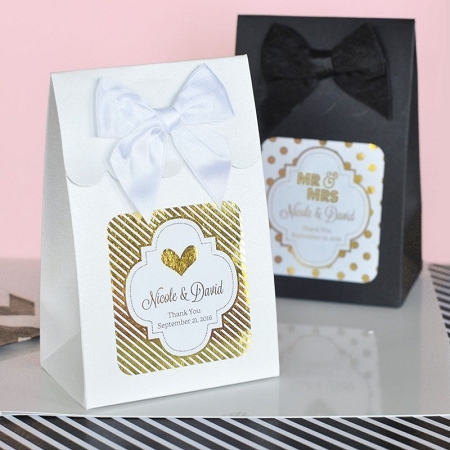 Add a little sparkle and shine to your wedding day with our Metallic Gold & Silver Foil Wedding Personalized Sweet Shoppe Candy Boxes! 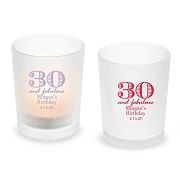 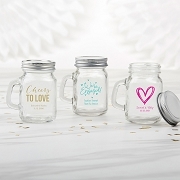 They are the perfect size for all sorts of your favorite goodies and come with shining personalized foil labels of your choosing. We have an assortment of modern wedding designs to compliment your wedding style. 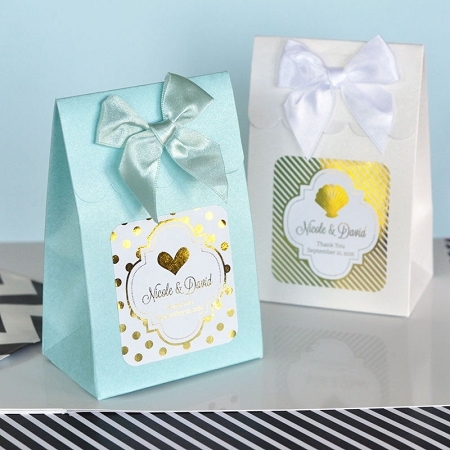 With our metallic labels, these sparkling boxes become customized treats. 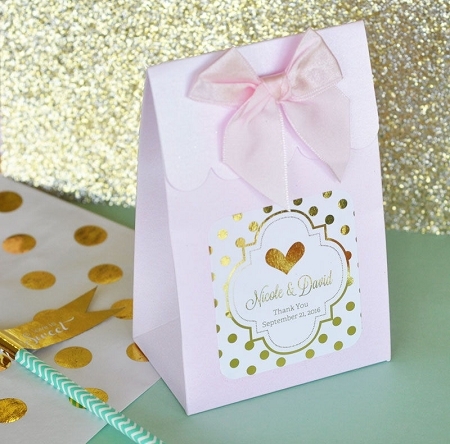 You can include names, dates, and messages to make these favors unique to you and your special day.